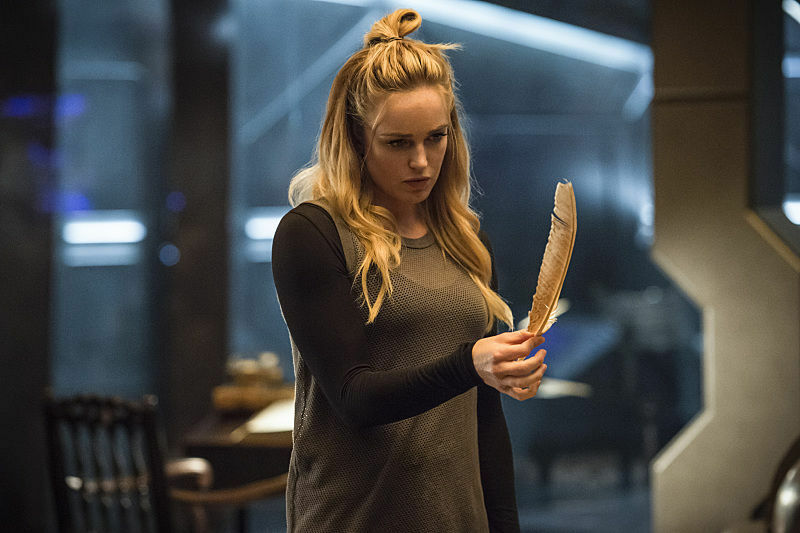 After spending the first two episodes setting the stage for the season to come, Legends of Tomorrow returned with a strong third episode. This week the team was quickly split up, giving each person space for very different emotional revelations and development. Written by series creator Marc Guggenheim and Chris Fedak, 'Blood Ties' found almost everyone struggling with their past, while trying to fix the future. With Carter dead and Kendra still hurt from the fight with Vandal Savage, Rip searches for a way to cripple him without endangering anyone else on the team. Reluctantly he works with Sara to steal all of his funds, only to discover that Savage is using Carter's blood to give his followers long life. Meanwhile, Professor Stein and Ray Palmer struggle to save Kendra's life - while Snart, Rory and Jax take a quick detour to steal an emerald. This episode quickly answers the question of why Rip needs a full team to help him kill Savage: he tried to do it once before and failed. We learn more about who Rip is as he worries about the team and he is haunted not only by his wife and child's death, but by his inability to slay their killer. It says a lot about Rip that he abandons his plans to steal from Savage in favor of rescuing the body of Carter, even if their plan isn't very well thought out. This is the first time we've seen Rip and Sara working together and it is a very fun paring. Immediate chemistry combined with Sara's excellent outfits and superb fighting skills made for a highly enjoyable A-plot as the two infiltrate the ceremony where Savage has Carter's body. The action was balanced out evenly with emotional development as Sara struggled with her bloodlust and the two commiserated over the different ways they see themselves as monsters. In one of Rip's many pep talks, he dropped a very on the nose references to some other DC heavy hitters, saying he had "seen men of steel die and dark knights fall." It's unclear if this is an oblique plug for a certain upcoming DC movie, a tease of characters that may appear on the show or simply a wink to the camera - it will be interesting to see if anything comes of it. Rip still hasn't learned that he cannot just leave people on the ship with nothing to do - especially not a pair of rouges. Eager to get away, Snart and Rory convince Jax - who is now running the engine room - to sneak out for a little emerald-thieving adventure. Rather then retread the "thieves don't change their spots" storyline, the action shifts to something much quieter. 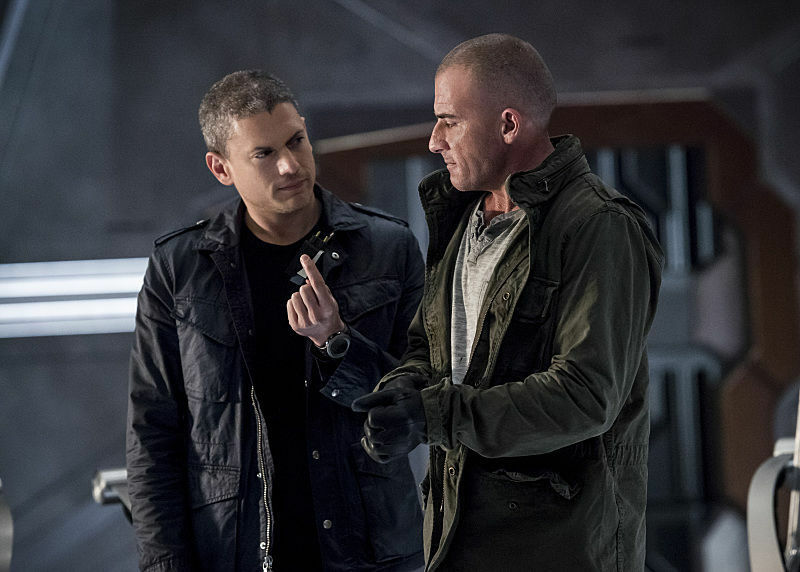 Snart gives the jewel to his father in an effort to keep him from getting arrested trying to steal it, and consequently, becoming an abusive monster after his five year stint in prison. Rory's immediate understanding of his plan was a nice touch, easily showcasing how well the two know one another. Two episodes in a row now we've had characters come face to face with their younger selves, a bold choice for so early in the series. There's been no noticeable disruption to the timeline yet, but it does seem as though they are playing pretty fast and loose with fate. The older Snart warns the younger, adorable Leo, "Don't ever let anyone hurt you. Ever." And, in a sense, isn't he now as responsible for his cynicism and isolation as his father? Regardless, his father's damage is still done. Some people might be capable of change, but Snart Senior is clearly not one of them, and he quickly gets arrested for fencing the stolen goods, keeping the timeline intact. Wentworth Miller was always a scene stealer on The Flash, adding layers of humor and menace whenever he blew through town. As a guest star he showed depth and nuance, and now that he has shifted into a lead role on Legends his humanity has more time to be developed. 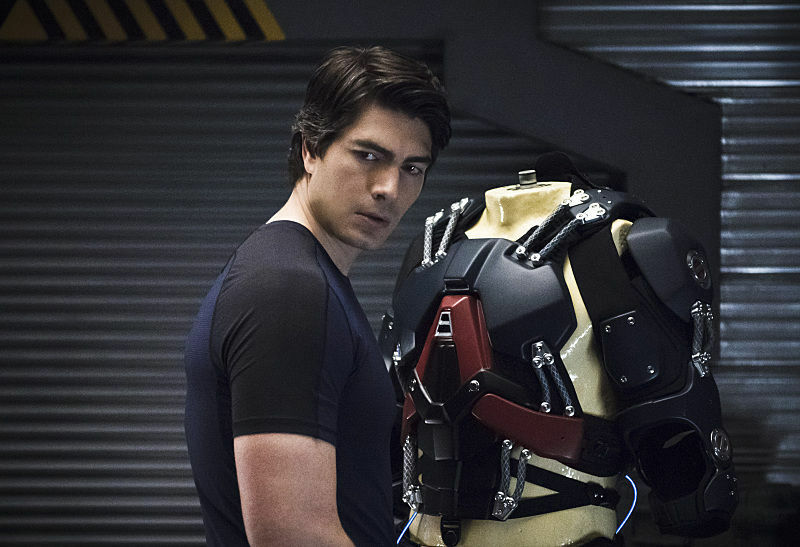 It's doubtful that Snart is on the fast track to being a Barry Allen-like hero, but he is clearly inching his way towards some sort of redemption. In the weakest of the three plotlines, Ray and Professor Stein are puzzling over how to best save Kendra as pieces of the cursed dagger slowly make their way through to her heart. Ray first insists on using his Atom suit to remove the fragments, not wanting to waste time with anything as mundane as tests. He enters her blood stream Magic School Bus style, but a suit malfunction causes the extraction to fail. After, he quickly retreats into self doubt and sadness - not wanting to risk the procedure a second time. It's an abrupt shift and one that is meant to demonstrate to the audience - especially those who don't follow Arrow - that Ray's confidence was fundamentally changed after witnessing the death of his fiancé. The suit gave him a sense of control and power, a flaw in the suit takes that all away. It is critical information to have, but felt shoehorned in and made Ray seem mercurial, as his hesitance could have spelled Kendra's death. The interaction did provide a nice bit of levity as Stein finally confessed that he simply didn't remember Ray from when he was his student. It can be so taxing having to track all of those geniuses, after all. After rescuing Rip and Sara, the team takes one last moment to say a proper goodbye to Carter. For the third time, Rip recommits to the cause, and promises honestly to the team. Each episode have ended with some version of this pledge thus far, but hopefully this is a trend the writers will quickly discard. With Kendra healthy and a madman to catch, they fire up the Waverunner and head to 1986. If anyone can pull off parachute pants, it's Sara. 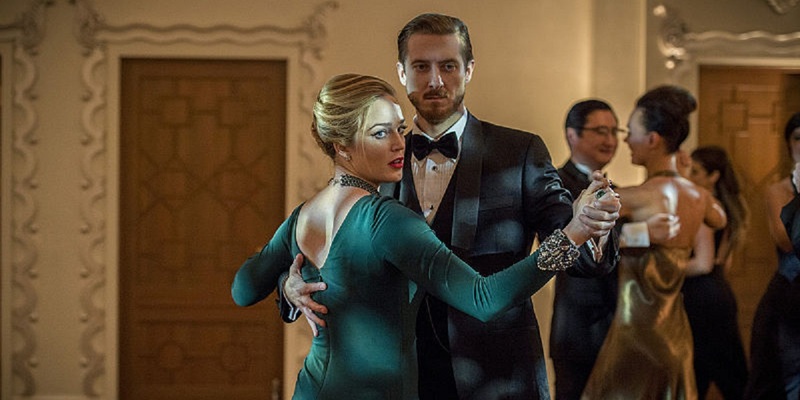 As Legends of Tomorrow settles into its normal rhythm, its strength is further revealed in the cast chemistry, and the fun of watching them develop and collaborate. Time travel should be back in full effect next week as we finally leave behind the '70s, opening up a whole other stage for adventure, and a little team bonding.